Start partnerships out on a solid foundation of comprehensive agreements. Resolve conflicts among business owners and principals through facilitated negotiations. Successfully transferring leadership in business and family to the next generation. Families planning together to preserve and build a legacy. Enhance productivity, strengthen relationships and enhance teamwork. BMC Associates helps business partners, owners of family businesses, and principals of other organizations deal with conflict and build collaboration. BMC’s interdisciplinary and non-adversarial approach helps strengthen working teams’ overall business and interpersonal performance. 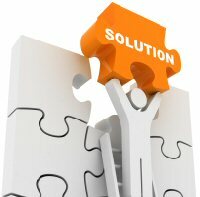 Mediation, a process that resolves conflicts through facilitated negotiations. The Partnership Charter, an innovative, preventative tool for partners and partners-to-be who want a structured approach to negotiating the many issues that tend to cause difficulties and conflicts among partners. Business Succession Plans, an integrated approach to transferring family business leadership and ownership. Collaborative Estate Planning, a way for families to address the many sensitive issues involved in transferring assets such as vacation properties from one generation to the next. Other Services that meet the planning and organizational development needs of clients are offered in conjunction with the services described above. It’s easy and common for financial and legal advisors to focus their efforts on “the business” to the detriment of the family behind it. Family businesses have special circumstances that public companies don’t face and managing the issues related to stewarding wealth through generations is complex. In this session Dr.
Donna and David Gage addressed a gathering of CEOs and Co-owners interested in discovering the common (and not-so-common) traps partners fall into and the preventive steps they can take to minimize the likelihood of conflict. They stressed that most partner conflicts can be traced back to insufficient partner planning. The Maryland Psychological Association invited Drs. Donna and David Gage to present a workshop at their Annual Convention about the many ways psychologists can use mediation to help their clients. They focused on mediation with business partners, boards of directors, management teams and families with business and estate issues, but they emphasized how psychologists’ training and experience make them particularly well suited to work in any conflict situations that involve close relationships. David and Donna Gage gave a workshop for psychologists, social workers and executive coaches on how BMC uses a multidisciplinary approach to help family business owners resolve complex family and business conflicts collaboratively. This podcast presents an interesting interview with Will Kaplan, an entrepreneur in the wealth advisory industry who's seen numerous partnerships end in business and interpersonal mishap. He recounts how he steered around many of these partnerships while paving his career path, until he found "an unbelievable resource" - The Partnership Charter. Click here to listen to Will Kaplan's story.